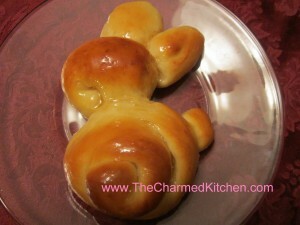 If you are looking for a fun dish to serve for Easter, you might want to bake a batch of bunnies. They can be served with Easter dinner, or with breakfast or brunch. 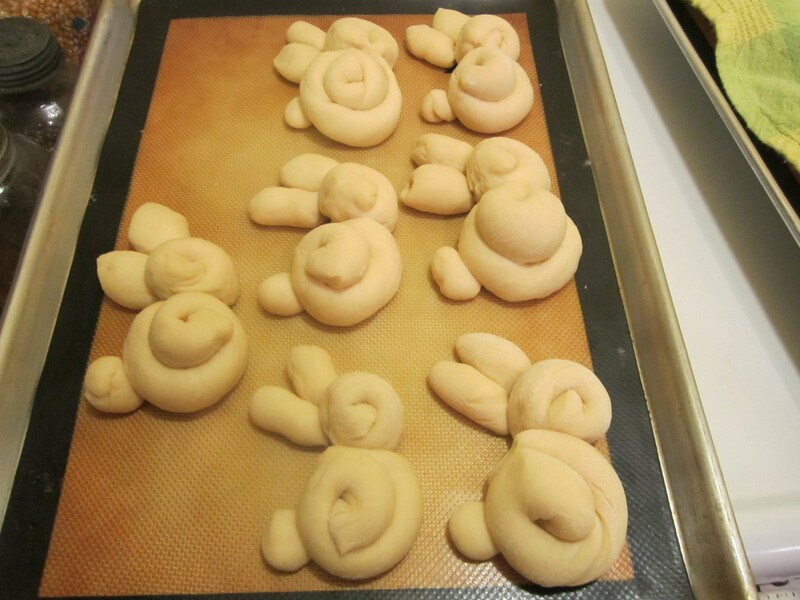 The honey-sweetened yeast dough is rolled into ropes, and then the ropes are formed into these bunny shapes. 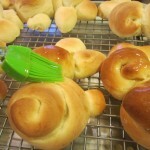 Once the rolls are baked, they are brushed with a mixture of warm honey and melted butter. 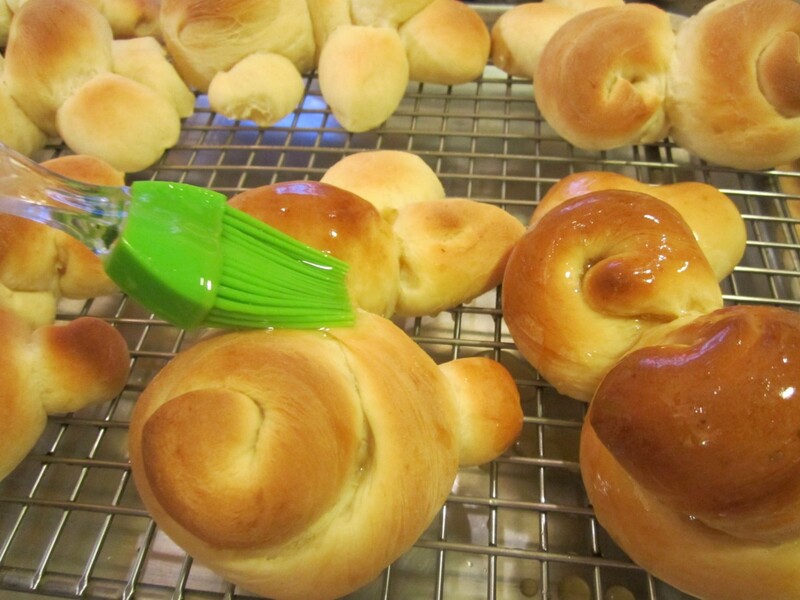 This is a fun recipe to make with kids. I make them every Easter. Sweet and so cute, they are sure to be a hit when you make them. 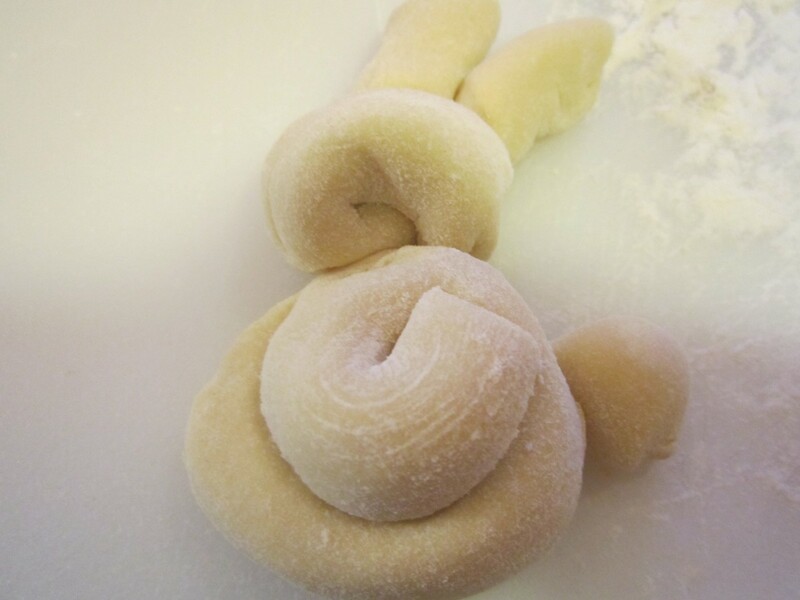 The dough is chilled before rolling, so you can mix up a batch in the evening- put in the fridge- then roll them out the next day. They are actually pretty easy to make. You can add raisin “eyes”, if you like. It is an option. 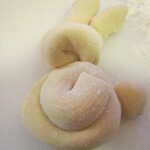 Place dough on lightly floured surface and divide into 15 equal pieces. 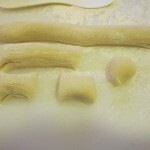 Roll one piece of dough into a 20- inch rope. Cut rope into a 12- inch piece, a 5-inch piece and 3 one-inch pieces. Coil 12 inch piece to form body, five inch piece to form head and one inch pieces to form ears and tail. 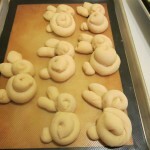 Place the body on greased cookie sheet and then place the head next to the body, making sure they are touching. Place ears and tail on the bunny, making sure they make good contact with the rest of the “bunny”. I tuck them under a little. Repeat with the remaining dough. Let rise, covered until doubled, about 25 minutes. Bake in a 375-degree oven for 12-15 minutes. Remove to cooling rack and brush with honey glaze. Place raisins on each to make eyes, if you like. Brush with additional glaze before serving, if desired. Makes 15 bunnies.